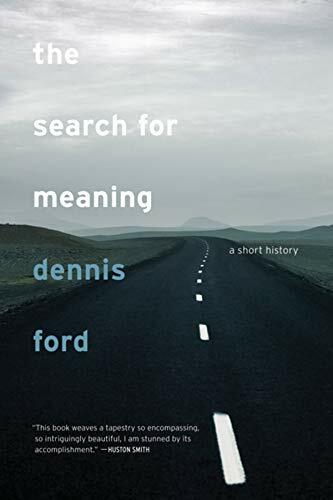 In The Search for Meaning: A Short History, Dennis Ford explores eight approaches human beings have pursued over time to invest life with meaning and to infuse order into a seemingly chaotic universe. These include myth, philosophy, science, postmodernism, pragmatism, archetypal psychology, metaphysics, and naturalism. In engaging, companionable prose, Ford boils down these systems to their bare essentials, showing the difference between viewing the world from a religious point of view and that of a naturalist, and comparing a scientific worldview to a philosophical one. Ford investigates the contributions of the Greeks, Kant, and William James, and brings the discussion up to date with contemporary thinkers. He proffers the refreshing idea that in today's world, the answers provided by traditional religions to increasingly difficult questions have lost their currency for many and that the reductive or rationalist answers provided by science and postmodernism are themselves rife with unexamined assumptions. Dennis Ford is the author of Sins of Omission: A Primer on Moral Indifference (1990).